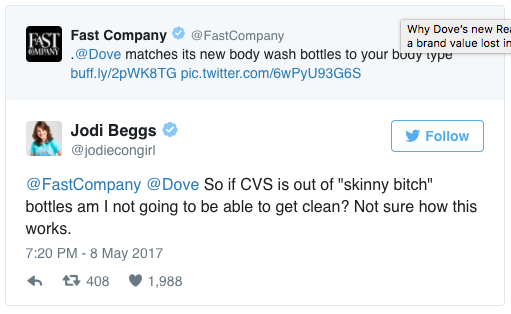 Pearlfisher responds to Dove's 'Real Beauty Bottles'. The new bottle structures are best described as awkward – a reflection of how they are initially making us feel perhaps? This goes against the whole ethos of the beauty category, which should always be inherently aspirational and desirable. If the bottles had been beautifully crafted shapes then maybe the public response might have been different. But, they have actually just compounded the idea of being the ‘wrong fit’, hence the backlash. This article originally appeared online on The Drum.